All PANTHER CREEK AT STONE O homes currently listed for sale in San Antonio as of 04/22/2019 are shown below. You can change the search criteria at any time by pressing the 'Change Search' button below. 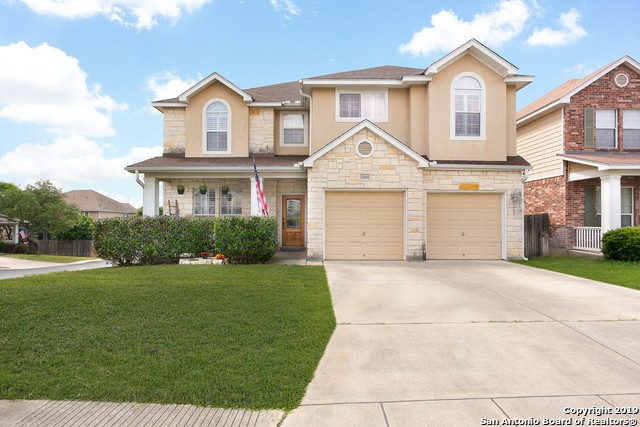 "Beautiful home on a corner lot inside the gated community of Panther Creek at Stone Oak. This amazing home features laminate and tile floors throughout, his and hers closets, 3 living spaces, and a beautiful deck outside for entertaining! The spacious kitchen offers a nice center island perfect for meal prepping. Multiple storage closets throughout the home to help for all of your needs! Neighborhood pool, playground, and basketball court available. Roof is less than 2 yrs old. 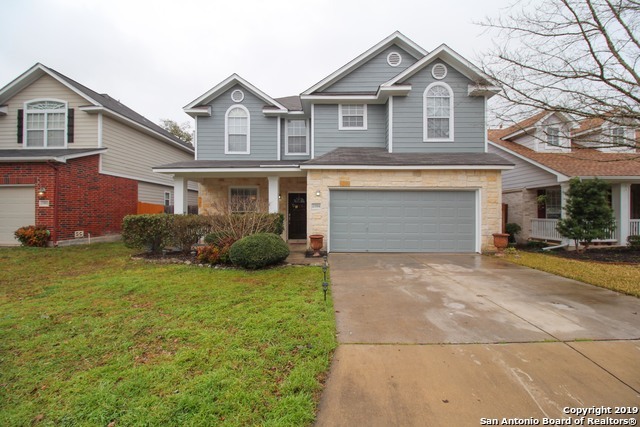 Make this plac"
"This move-in ready home is located in a gated stone oak area neighborhood. There have been many upgrades done in the last two years, to include, updated flooring, appliances, kitchen and baths. The kitchen has been revamped to include granite, a new breakfast bar and a nook area. There are also 2 new A/C's, a new roof and much more. The master suite boast an oversized room with a sitting area. Be sure to check out the large master walk in closet and the ensuite with upgraded counters and walk "
"Beautifully maintained home in the heart of the gated Panther Creek community. The floor plan is nicely appointed with flexible living space on both the lower and upper levels. Upon entry there is a ideal multi-use space that has limitless possibilities as home office, additional dining or living space. Island kitchen overlooks a generous living space. Master suite is down with en suite bath. Backyard oasis provides an over-sized patio slab with pergola and backs to a lush greenbelt!" "This stunning 2 story gem in desirable Panther Creek at Stone Oak will take your breath away! Features include majestic curb appeal with stone/rock/stucco finish, mature trees & lush landscape, open floor plan, soaring ceilings, gourmet chefs kitchen w granite, stainless appliances, master bedroom down, huge game rm & 3 bedrooms up & more! Walk out to your own private oasis w greenbelt all nestled on a .14 acre lot! This home is priced right and ready to sell!!!" "Plenty of room in this wonderful home in the gated community of Panther Creek... Open floor plan ..... island kitchen with ample cabinets.... very large master.....great street appeal ...... convenient to schools, shopping, and dining....... zoned in NEISD's premier schools." "Great gated community in Stone Oak. This beautiful home features open floor plan with large living room,fireplace,high ceilings, and lots of windows looking out at Oak trees in backyard. Kitchen has island with new granite counter tops, lots of cabinets, custom window seat in breakfast area. Grand master suite with sitting area and windows, huge master bathroom recently remolded,and huge walk-in closet. Exterior freshly painted. MUST SEE! Motivated sellers. All offers will be looked at." "Your family will fall in love with this clean and spacious one-story home w/ abundant living spaces. The open floor plan revolves around the chef's kitchen at the center of the home. You will enjoy the cool spring air outside on the oversized concrete patio or walking to the neighborhood pool and playground this summer. 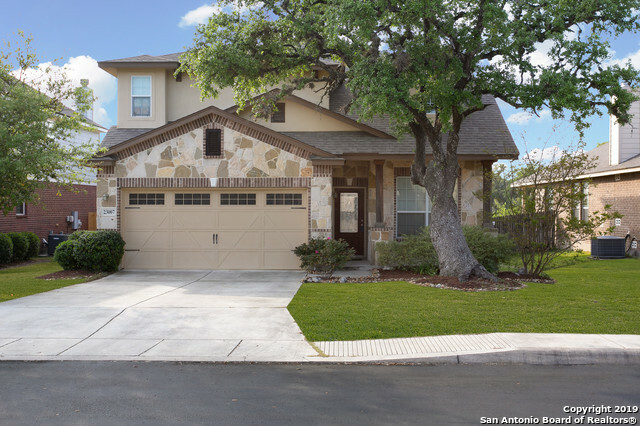 The conveniently located and gated community is zoned to NEISD's premiere schools. As a result, this home will NOT last long. Call to see it today!" 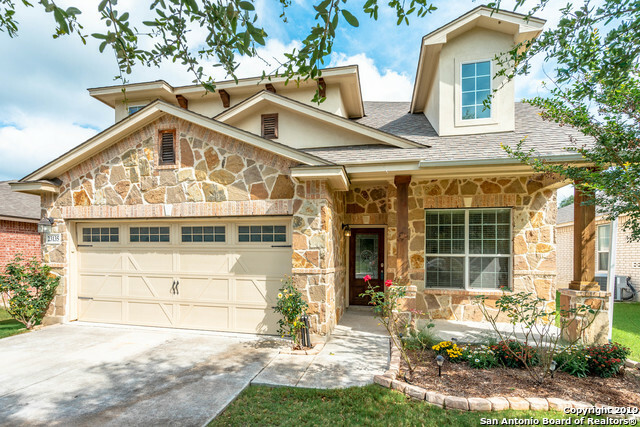 "This beautiful one story home located in the Stone Oak area features a stone exterior and open floor plan. 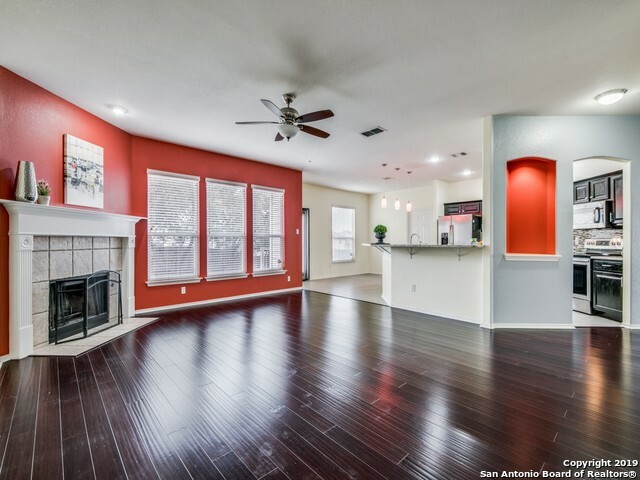 Seller added engineered hard wood flooring in living and dining area. All rooms are spacious with plenty of furniture space. Decorative paint used in the bedrooms. The exterior yard shows pride in ownership with their vibrantly green lawn. The front and back yard are beautifully landscaped, which is perfect for backyard entertainment."